The Hunchback of Notre Dame (Gary Trousdale and Kirk Wise, 1996). For episode 19, Chris and Alex revisit the Walt Disney Studio and its adaptation of Victor Hugo’s nineteenth-century Gothic novel for its cel-animated musical The Hunchback of Notre Dame (Gary Trousdale and Kirk Wise,1996). A melodrama set against the backdrop of medieval Paris, the film reworks its classic source material and gives it the Mouse House treatment, bringing Hugo’s mature literary Gothicism together with Disney’s ‘cartoon’ principles. 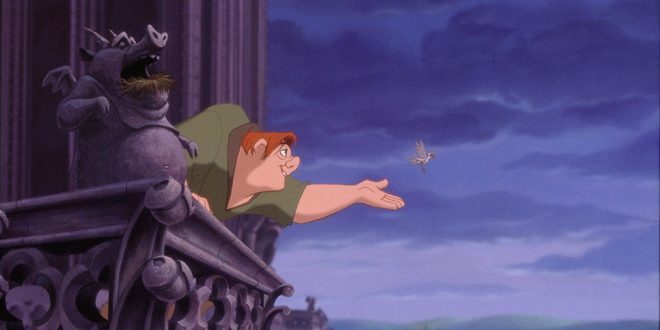 Discussion ranges from the film’s evocation of the ‘topsy turvy’ carnivalesque to specific elements of its character design, as Chris and Alex consider how Hunchback’s broader thematic concerns of suppressed sexuality and obsession, damnation, and grotesque horror reconfigure Disney’s (fairy) tale ‘as old as time’ formula.